For our group hike, we ventured out to Ogden, Utah, for a 5 mile loop hike that starts at Wheeler Creek, cuts through Icebox Canyon, the Art Nord meadow near Snowbasin, then back through Wheeler Creek. 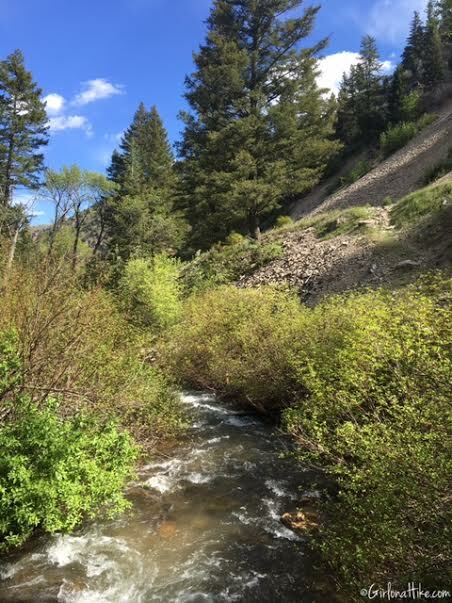 The weather was perfect - it seems summer has finally arrived in Utah, as the temperature was about 85F. 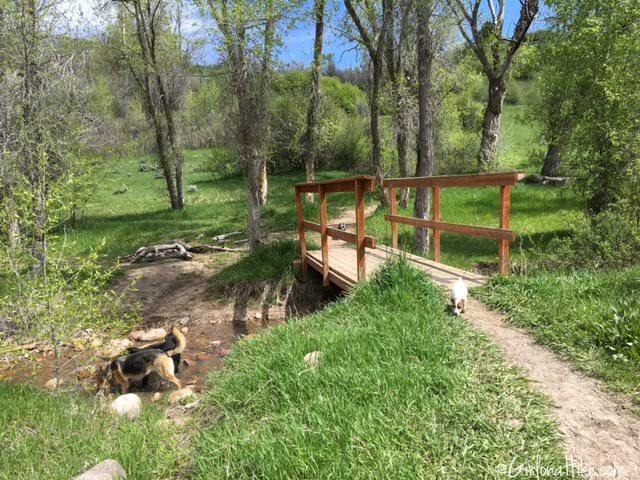 This is a popular trail for mountain bikers, families, dogs playing in the stream, and those looking to take visitors on a nice, scenic, easy hike. 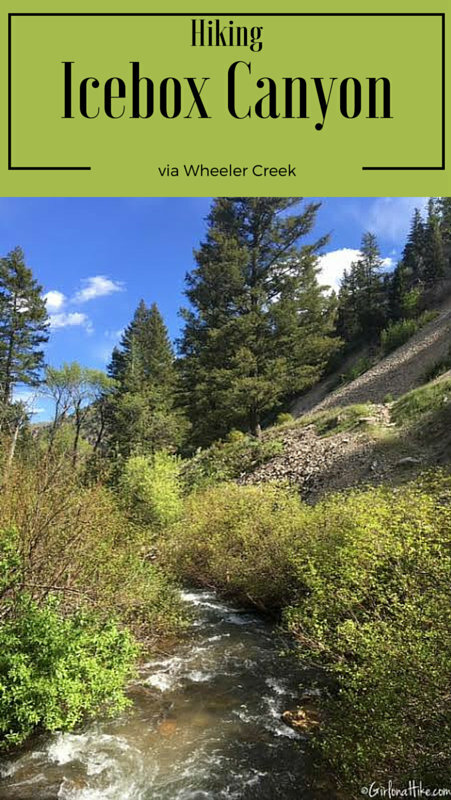 Icebox Canyon is really well shaded, follows a stream, crosses several bridges, and loops by a really pretty meadow with Snowbasin Ski Resort as the backdrop. 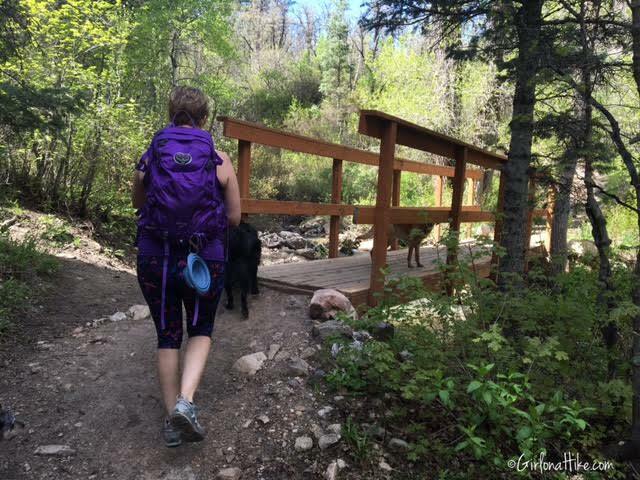 This trail offers a little of everything! From SLC, head north on I-15 and take the exit for HWY 89. Stay on this until you drive under I-84, then turn Right onto Harrison Blvd. Drive about 6.5 miles, then turn right again on Canyon Road (you'll see Smith's on the left side right before you turn). 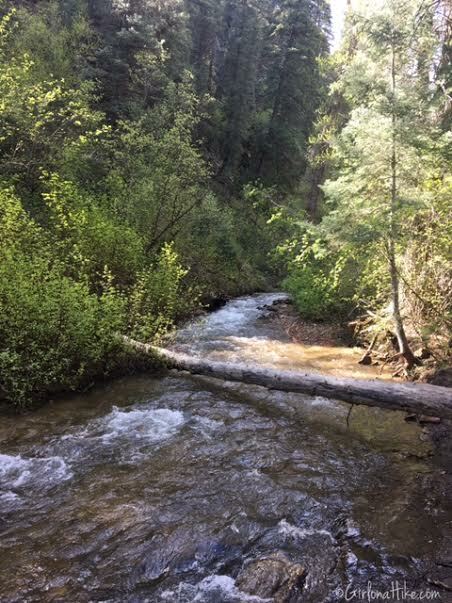 Drive another 6 miles in the canyon, and look for the Wheeler Creek TH sign pointing right, onto Art Nord Drive. If you drive past the reservoir, you've gone too far. Drive down to the gate to park, or if that is full, park near the turn off sign near the main road. There are no restrooms at the TH. Here's a driving map. 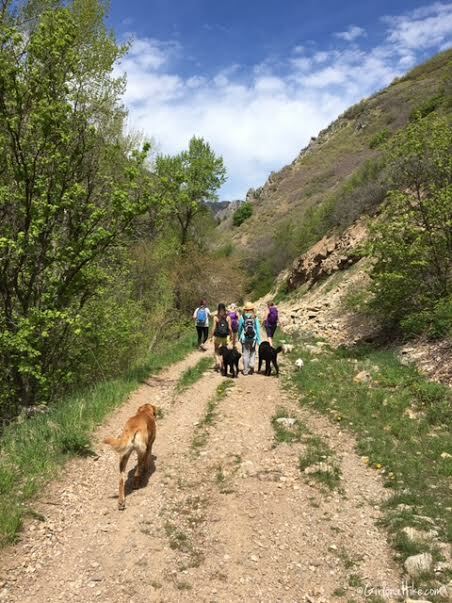 The trail is very wide for all of Wheeler Creek trail, and it mostly exposed. Beware of bikers flying down this trail! At about 1 mile, look for the trail split on your right for Icebox Canyon, and take this down the hill. The stream was flowing really fast. 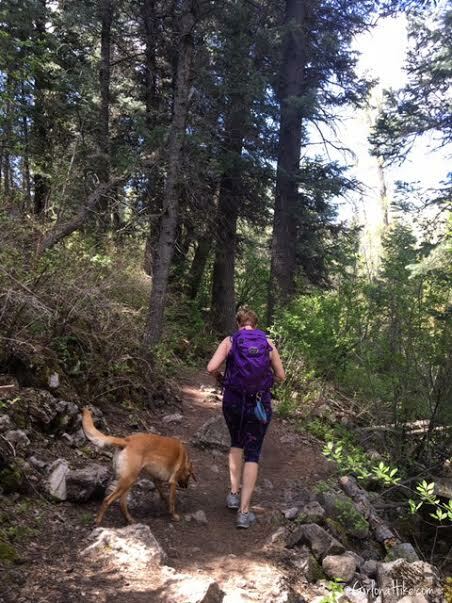 As you hike into Icebox Canyon, the trail becomes a single track trail, is very well shaded, and follows the stream closer, which is nice for the dogs to play in and cool off. 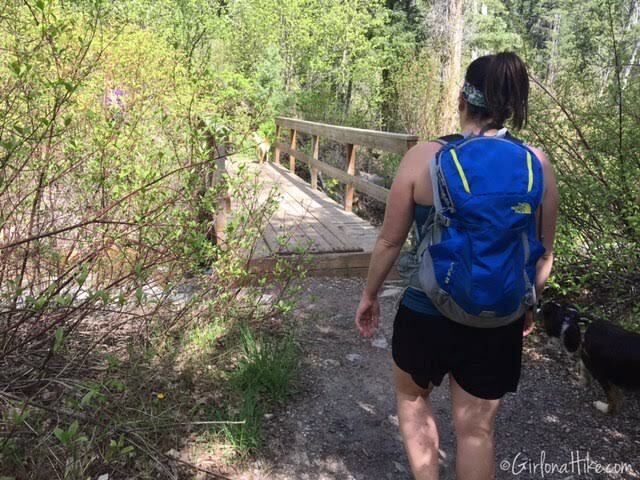 Work your way over bridge #2, then up the only switchback. Cross bridge #3. 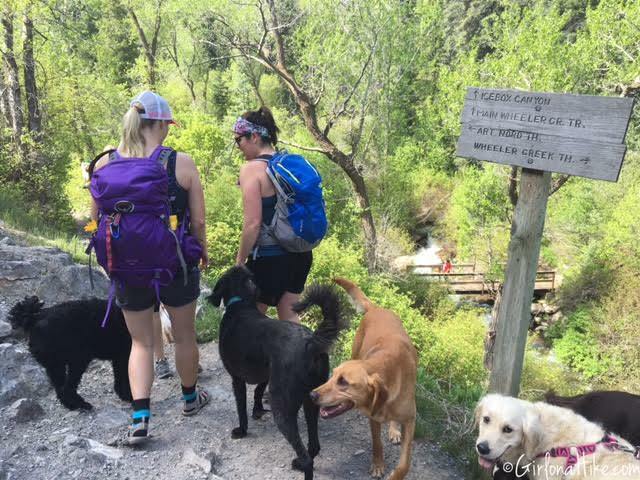 After this bridge crossing, you won't be near the stream again for another mile, so bring water for your dogs for this section of the trail. 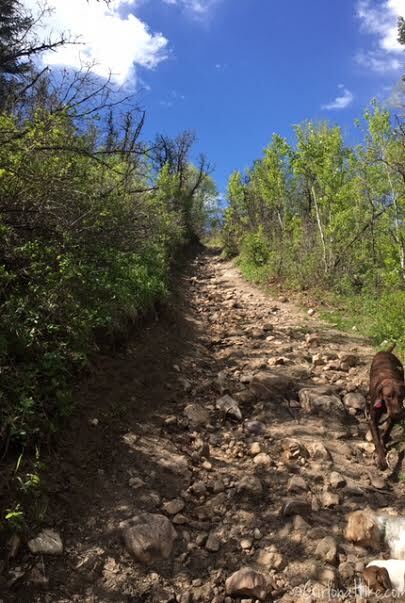 One small steep, rocky section. 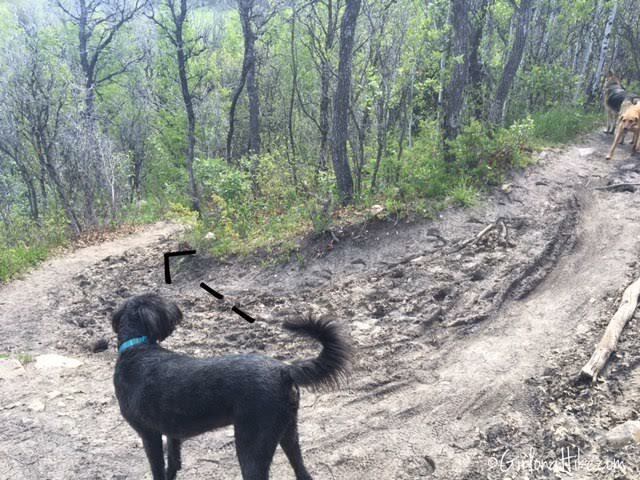 At the next trail split, veer left, down the hill. 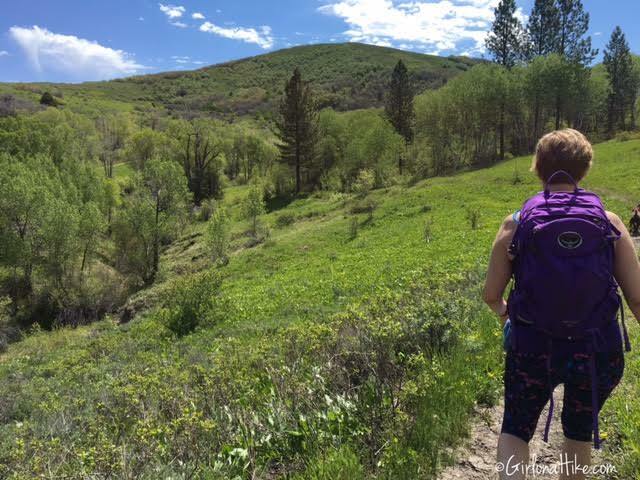 If you go right, it takes you closer to Snowbasin. 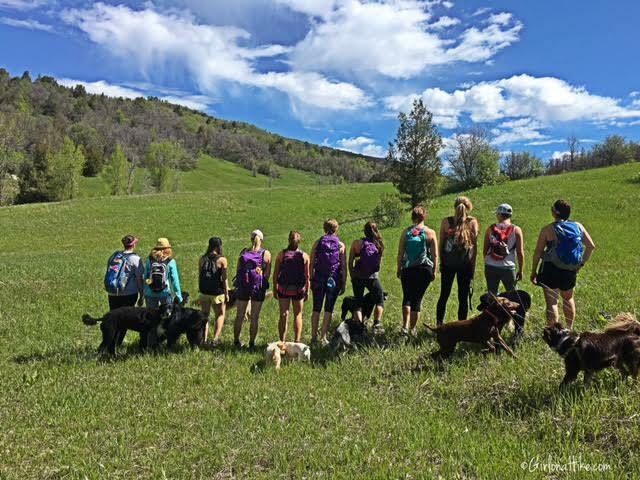 Time to plaster social media with our awesome pack picture! This is actually my favorite spot along the loop because this meadow is so pretty! I love this spot! 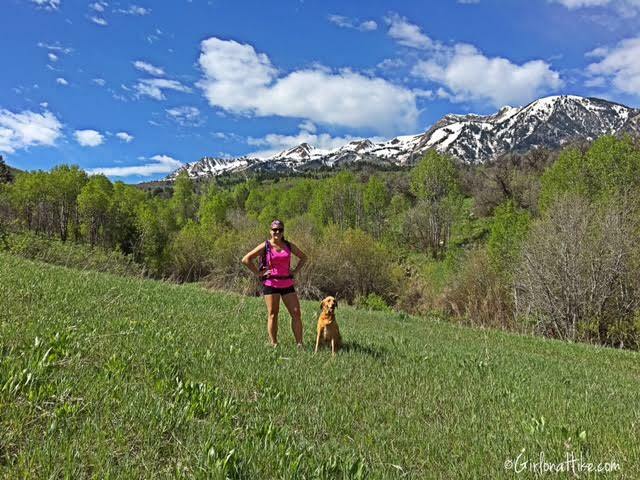 The backdrop of Snowbasin is gorgeous! 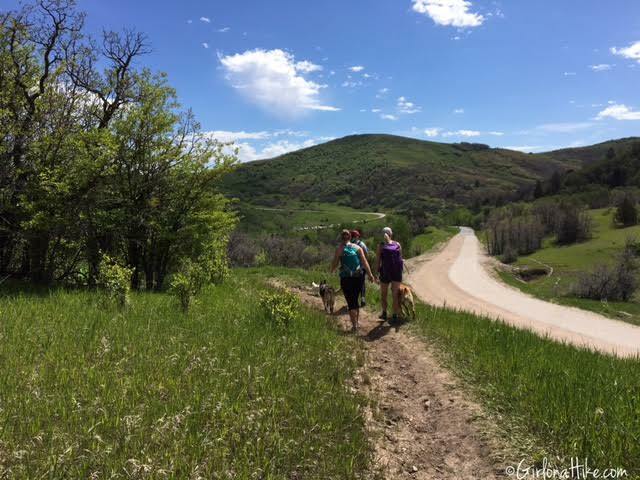 Continue on the trail, and you will hike right by the road to Snowbasin. Walking through another open meadow. It was SO green! Cross bridge #6! 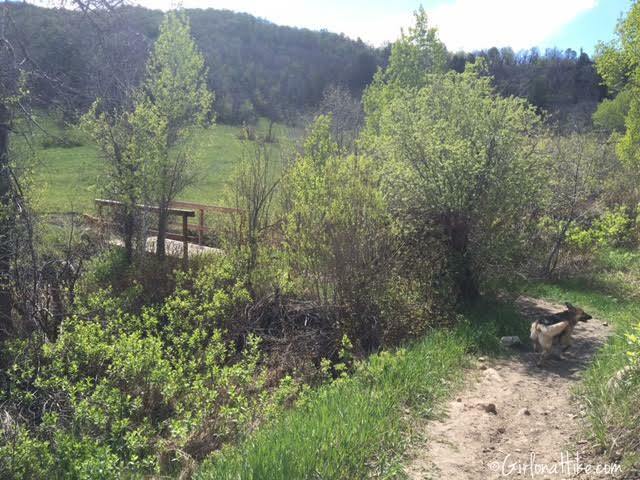 Just after this bridge look for the small trail leading left and take that - it will put you back on the Wheeler Creek trail. 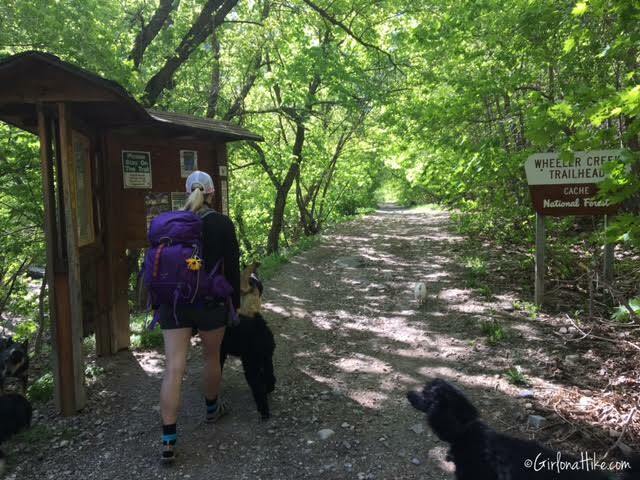 Back on Wheeler Creek trail. 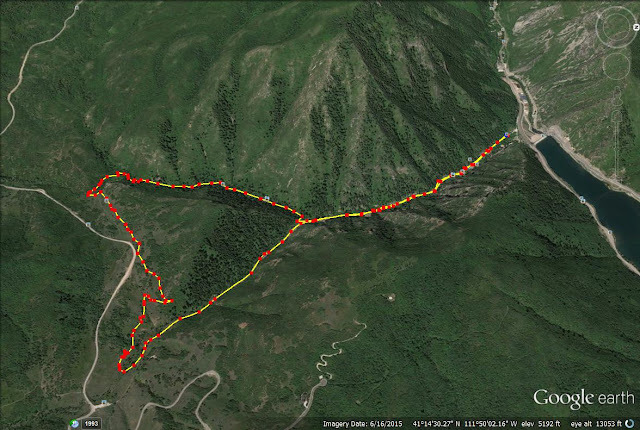 Follow this trail until you reach your car, making a nice loop. 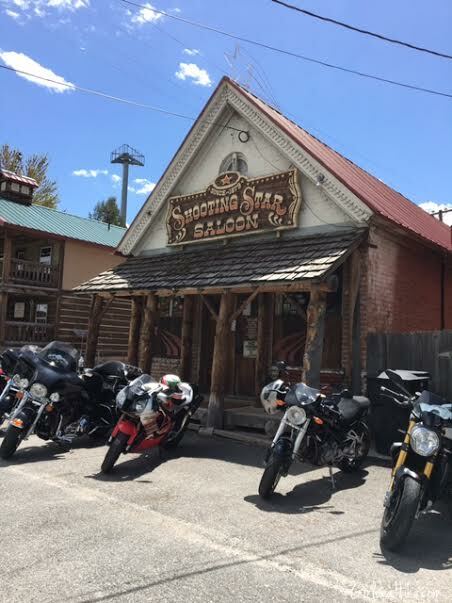 After our hike, we headed over to Huntsville, Utah (10 minutes from the Wheeler Creek TH), to the Shooting Star Saloon. They have amazing burgers! Be sure to get the Shooting Star Ale too - very tasty if you like Amber beers. The service was extremely slow - it took 1.5 HOURS to get our burgers. After hiking we were very hungry, and it just seemed forever. We probably should have left, but we made the best of it and just chatted. However, the wait was worth it - the burgers are the best in the area. I would recommend getting there when it opens so you don't have to wait so long. 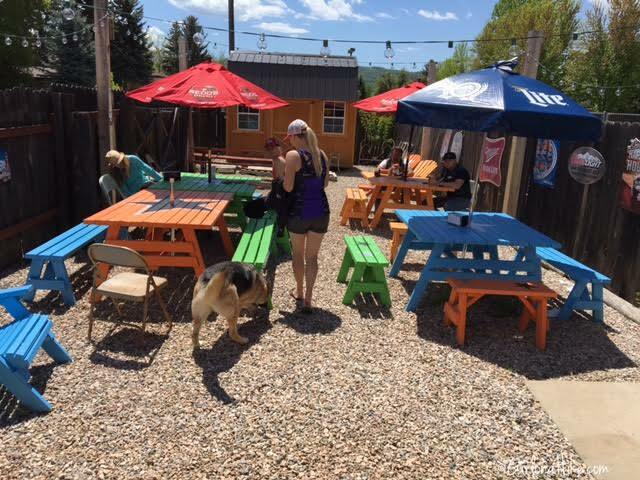 We couldn't complain too much, since they actually let us bring our dogs out to the patio. The dogs were hot, so we put them under the tables to have shade. The inside of the saloon is kind of dark and musty, so we were glad the patio was open this time of year. The first time I went here I was a little intimidated by all the bikers, but it's really not a problem. We're all there for the same reason - burgers! Trail map looking North. 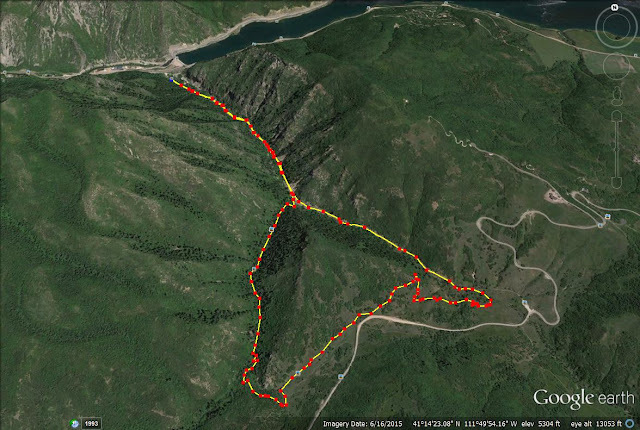 You can hike this loop in either direction (clockwise or counter clockwise), but I prefer counter clockwise. 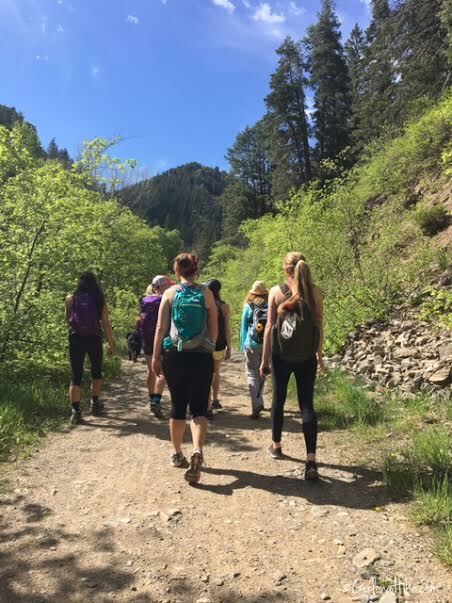 This hike was perfect for 55 and 62 year old women! It has been my favorite hike so far! Your instructions were wonderful and I LOVE your web-site!